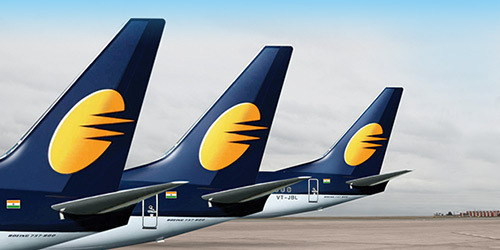 Mumbai: Jet Airways has suspended all its domestic & international flights with immediate effect after lenders led by SBI rejected a request by the carrier for infusion of Rs.400 Cr emergency funding. An Amritsar-Delhi flight will be its last flight for now. “Late last night, Jet Airways was informed by the State Bank of India (SBI), on behalf of the consortium of Indian Lenders, that they are unable to consider its request for critical interim funding. Since no emergency funding from the lenders or any other source is forthcoming, the airline will not be able to pay for fuel or other critical services to keep the operations going. Consequently, with immediate effect, Jet Airways is compelled to cancel all its international and domestic flights. The last flight will operate today” Jet Airways said in a regulatory filing. Jet Airways has informed the DGCA, and the Ministries of Civil Aviation and Finance and other relevant government institutions, of this course of action.